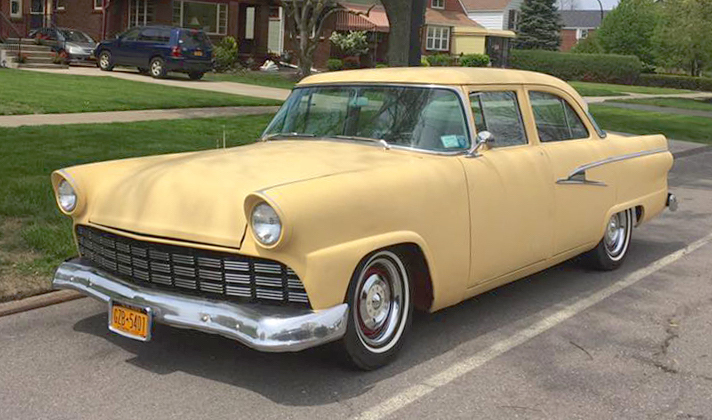 Whaddya do when a customized 1956 Ford Mainline parks in front of your house, unannounced? If you’re South Buffalo’s Stan Pingelski, you get out the camera and send photos to the RealRides staff. This Mainline is wearing grille inserts from a 1960 Oldsmobile, along with what appear to be 1956 Mercury taillight lenses. Shaved door handles and a lowered stance help complete the period custom look. This all took place last week in South Buffalo.